Don’t say the Oilholic did not tell you so after his Indian adventure – that India will find it very hard to match Europeans on censuring Iran in ‘crude’ terms! An interesting newswire copy from the Indo-Asian News Service (IANS) as cited by broadcaster NDTV notes that in fact, India is set to step up its energy and business ties with Tehran. The news emerges in wake of an attack earlier this month on an Israeli diplomat carried out barely yards from the Indian Prime Minister’s residence in Delhi, for which Isreal is blaming Iran. It shows you how ‘crude’ the Delhi-Tehran ties are. The blogosphere is rife with news that it is becoming increasingly difficult for Indian oil companies to pay their Iranian counterparts in wake of international sanctions which hamper processing of international payments and place limits on what the central bank - Reserve Bank of India (RBI) - can or cannot do. Well placed sources suggest that various options from routing payments via Turkey and in suitcases are being trialled. Pragmatically speaking, few can blame India for not curtailing ties with a country which supplies 10% of its crude imports. The Iranian situation coupled with the geopolitical influence of other events in Nigeria and Sudan alongside a Greek rescue and the Chinese Central bank’s cut of the required reserve ratio of its domestic banks (on Saturday to ease borrowing) have all come together to introduce bullish trends. The crude price is currently at an 8-month high; when last checked @13:45GMT on Feb 23rd – the ICE Brent forward month futures contract was at US$124.33 per barrel and WTI was at US$106.33 per barrel. Three City analysts told the Oilholic this morning that the strong upside rally in the oil market is likely to continue for some time yet. Additionally, in a note to clients JP Morgan Chase raised its 2012 price forecast for Brent crude by US$6 to US$118 a barrel and its 2013 forecast by US$4 to US$125 a barrel. Meanwhile, former UK Chancellor of the Exchequer Lord Lamont – who is now the Chairman of the British-Iranian Chamber of Commerce – recently told BBC Radio 4 that imposing economic sanctions on Iran will not work. "I can only say we are banging our heads against a wall with this approach...Iran will not buckle under these sanctions. The effect of sanctions is to hit the private sector in Iran, drive companies bankrupt and drive them into the arms of the government, or into the hands of the Revolutionary Guards and into alliances with people in the government smuggling the goods they desperately need," he said. "I'm not sure this will have the right effect. Could this produce regime change? It's possible but in my view it's just as likely that it will bolster the strength of the regime," Lord Lamont concluded. According to the BBC, data compiled by companies exporting to Iran show that direct trade dropped from just under £500 million in 2008 - to an estimated £170 million in 2011. Blimey – didn’t know we had that much bilateral trade in the first place! Moving away from what a former UK Chancellor said, an Indian wire reported and the Oilholic ranted about, it is time to discuss some interesting bits of reading material. 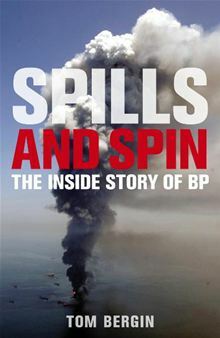 This humble blog’s rapidly rising North American fan base (to put it modestly) would be keen to know that Reuters’ very own resident Oilholic – Tom Bergin’s splendid book on BP’s Macondo fiasco and its corporate culture – Spills and Spin: The Inside Story of BP – saw its US edition launched earlier this week. Here’s the review, and if you lot in the US haven’t been cheeky and ordered a UK copy from an internet retailer, the Oilholic would recommend that you visit you a friendly neighbourhood bookstore (or library) where you are likely to find a local edition. From Bergin’s book which raises serious questions on corporate ethics to a Pastor who raises a rather pious question for us all really - Where would Jesus Frack? According to the Pittsburgh Tribune Review, a pastor told environmentalists last month that there is a scriptural basis for opposing Marcellus Shale drilling in the US. The Rev. Leah Schade, pastor of the United in Christ Church in Union County, Pennsylvania, USA, wore a hand-sewn white patch that said, "WWJF - Where Would Jesus Frack?" and dropped to her knees to demonstrate the power of prayer. Asked later to answer the question on her blouse, Schade said, "I don't believe Jesus would be fracking anywhere." She cited Genesis 2;15: "God put human beings into the Garden to till it and keep it, not drill and poison it." Amen! Continuing with interesting things to read, finally here is a comparison drawn by BBC journalist Vanessa Barford on what are the competing claims of UK and Argentina over the Falkland Islands – an old diplomatic spat which has recently acquired a crude dimension. Last but not the least, here is a video of yours truly on an OPEC broadcast discussing project investment by the cartel at its 160th meeting of ministers in December. That’s all for the moment folks! Keep reading, keep it 'crude'! © Gaurav Sharma 2012. Photo I: Veneco Oil Platform © Rich Reid - National Geographic. Photo II: Front Cover (US Edition) – Spills and Spin © Random House Publishers. This Monday, the crude world bid farewell to Petrobras’ inimitable CEO José Sergio Gabrielli de Azevedo who stepped down from his position having been at the Brazilian major's helm since July 2005. 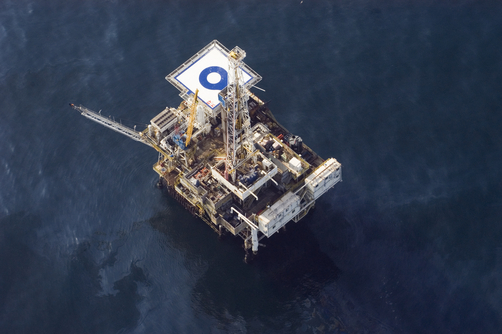 Over his tenure, Petrobras took great strides towards ultradeepwater offshore exploration and made several overseas forays. Rumours had been lurking around since January that Gabrielli was in the twilight of his career at Petrobras following differences with Brazilian President Dilma Rouseff – but both the government and the company strenuously denied it. The reins of Petrobras have now passed on to Maria das Graças Silva Foster (pictured left) a corporate veteran who has worked at Petrobras for 31 years. In addition to occupying various executive level positions in the company, Foster has been CEO of Petroquisa - Petrobras Química, and CEO and CFO of Petrobras Distribuidora. 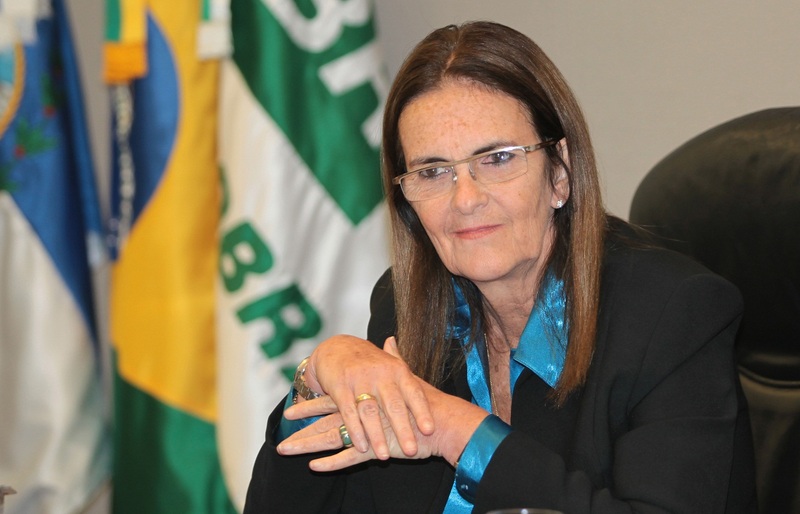 In her career, she was also Secretary of Oil, Natural Gas and Renewable Fuels at the Brazilian Ministry of Mines and Energy from January 2003 to September 2005. Earlier, Petrobras approved the contract for 21 offline rigs with Sete Brasil, at an average daily rate of US$530,000 and the contract for 5 dual activity rigs with Ocean Rig, at the average day rate of US$548,000, both for a 15-year term. All units, which have local content requirements ranging from 55% to 65%, are to be delivered within 48 to 90 months, according to the schedules established in the contracts. The project includes the construction of new shipyards in the country and the use of existing infrastructure. Petrobras expects to reduce the average daily rates to US$500,000 for the Sete Brasil contract and to US$535,000 for the Ocean Rig contract. These amounts may suffer further reductions if the parties detect and agree to mechanisms that reduce operating costs. With these contracts, the plan to contract 28 drilling rigs to be built in Brazil to meet the demands of the long-term drilling program, primarily for use in pre-salt wells has been completed. Based on the conditions submitted by the companies and on the current demand for the development of future projects, Petrobras, in its own words, "chose to take advantage of the negotiated conditions and contract five additional which were not originally planned." All this is fine and dandy, but since the timelines of construction and delivery are so lengthy, a hike in construction costs is likely – more so because some yards where the rigs are expected to be built, haven’t yet been built themselves. But the Oilholics loathes being too sceptical about what is a reasonably positive agreement. Meanwhile, the IEA has cut its oil demand forecast again! In an announcement last week, the agency said a weak global economy had prompted its sixth successive monthly revision to forecasts by 250,000 barrels per day (bpd) to 800,000 barrels for 2012. Before the IEA, the US EIA actually made an upward revision of 50,000 barrels to 1.32 million bpd while OPEC cut its forecast by 120,000 bpd to 940,000. All three forecasters are looking towards non-OECD jurisdictions for demand growth. Elsewhere, the Oilholic would like to highlight two very interesting corporate client notes. In one issued on February 7th, Fitch Ratings observed that following the recent parliamentary elections in Kuwait, marked frictions between an elected Parliament and the appointed government will continue to weigh on the reform agenda and hamper political effectiveness. The agency feels that difficulties in reaching agreement at the political level will continue to affect economic reforms, including the implementation of a four-year development plan (worth 80% of GDP over 2010-11 and 2013-14), which aims at boosting the country's infrastructure and diversifying the economy away from oil. Nonetheless, Fitch rates Kuwait as 'AA' with a Stable Outlook. As relatively high oil prices are being forecast, Fitch’s own being at US$100/barrel for 2012, Kuwait’s earnings should continue to ensure double digit current account and fiscal surpluses which lend support to the rating. Moving on to the second note, on the expected impact of US' QE3 on the commodity market circulated on February 10th, Société Générale analysts Michael Haigh and Jesper Dannesboe opine that an increase of expected inflation during QE3 Stateside coupled with the impact of the EU embargo on Iran could result in the DJ-UBS commodity index rising 20% and Brent prices rising to US$130/barrel. “Sep12 Brent call spread with strikes at US$117 (long) and US$130 (short). The current net up-front cost: about US$4.6/barrel. This results in a maximum net profit of US$8.4/barrel. If one also sells a Sep12 US$100/barrel put, the overall structure would have zero upfront cost and the maximum net profit would be US$13.7/barrel. We consider a price drop below US$100 to be very unlikely,” they wrote and the Oilholic quotes. That’s all for the moment folks! Keep reading, keep it 'crude'! © Gaurav Sharma 2012. Photo: Petrobras CEO Maria das Graças Silva Foster © Petrobras Press Office. There appears to be only one story in town these past few days - the valuation and implication of a Glencore and Xstrata merger. According to communiqués issued yesterday poured over the Oilholic and his peers, the Switzerland based commodities trader and the mining major aim to create a merged natural resources, mining and trading company with a combined equity market value of US$90 billion. Xstrata’s operating businesses and Glencore’s marketing functions will continue to operate under their existing brands. It is proposed that the combined entity will be called Glencore Xstrata International plc, listed on the London and Hong Kong Stock Exchanges, with its headquarters in Switzerland and will continue as a company incorporated in Jersey. The deal was labelled by the two firms as a "merger of equals" but the Oilholic suspects Glencore would carry the upper hand. While the new corporate entity will be the world's biggest exporter of coal for power plants and the largest producer of zinc, the ever secretive Glencore’s involvement gives the merger a ‘crude’ dimension. The latter’s Chief Executive Ivan Glasenberg has made a fortune for his company selling crude oil and oil products alongside other commodities. Controversy and Glencore go hand in hand as its Wikipedia page records. Where from here remains to be seen as ratings agency Moody's has placed all the ratings of Glencore and Xstrata, as well as those of their guaranteed subsidiaries, on review for possible upgrade following the announced all-share merger. The initiation of this review reflects Moody's favourable assessment of the planned merger in terms of diversification and synergies, as well as the uncertainties surrounding the final details and execution of the proposed transaction. Moving away from the Glencore-Xstrata story but sticking with Moody's, the agency also commented on the completion of Sunoco Inc.'s strategic review. It notes that the American petroleum company is better positioned to focus on midstream logistics and retail product marketing as its core operations, with greater clarity around its plans to re-deploy a sizeable portion of its cash liquidity. Sunoco announced a number of steps last week to allow it to focus on its large investment in Sunoco Logistics Partners LP and on retail marketing as the drivers of its future growth and returns. It began shuttering the Marcus Hook refinery in December and is likely to do the same with its Philadelphia refinery by July 2012 unless it can conclude a suitable sale. These exposures and the limited sales prospects for the refineries have resulted in an additional pre-tax charge of US$612 million in Q4 2011, including non-cash book charges and provisions for severance and other cash expenses. Continuing with corporate news, Petrobras announced another discovery of a new oil and natural gas accumulation – this time in the Solimões Basin (Block SOL-T-171), in the State of Amazonas. The discovery took place during drilling of Igarap é Chibata Leste well located in Coari, 25 km from the Urucu Oil Province. The well was drilled to a final depth of 3,295 meters and tests have indicated a production capacity of 1,400 barrels per day of good quality oil (41º API) and 45,000 m3 of natural gas. Obviously, Petrobras holds 100% of the exploration and production rights in the Concession. The Brazilian major also closed the issuance of global notes in the international capital markets worth US$7 billion on Monday. The transaction was executed in one day, with a demand of approximately US$25 billion as a result of more than 1,600 orders coming from more than 700 investors. The final allocation was more concentrated in the United States (58.4%), Europe (28.1%) and Asia, mostly dedicated to the high grade market. The oversubscription is symptomatic of the huge interest in Brazilian offshore. Finally, BP raised its dividend payout after quarterly earnings rose on rising crude prices. Replacement cost profit for the three months to December-end 2011 was US$7.6 billion up on US$4.6 billion for the corresponding period in 2010. For FY 2011, BP's profit was US$23.9 billion versus a US$4.9 billion loss in 2010. This meant allowing for a 14% rise in the dividend to 8c (5p) per share, a first increase since the 2010 Gulf of Mexico spill. Away from corporate matters, the UK government launched its 27th offshore oil and gas licensing round last Wednesday making 2,800 blocks available to prospectors. The last British licensing round set an all-time high at 190 awards with high crude prices enticing exploration companies big and small. Lets see how it all shapes up this time around especially as the British government maintains that some 20 billion barrels of the crude stuff is still to be extracted. The Oilholic cannot possibly dispute the figure with authority, but what one can note with some conviction is that all the easy (to extract) oil has already been found. Extracting the remaining 20 billion would be neither easy nor cheap, especially in a tough macroclimate. Meanwhile, as tensions mount over Iran, Saudi Arabia’s crown prince has said the Kingdom would not let the price of crude oil stay above US$100 using the WTI as a benchmark. Concurrently, and in order to allay Asian fears about crude oil supplies, the UAE government says it is looking to export more to Asia should there be a need to mitigate the supply gap caused by a ban on Iranian oil by Asian importers. That’s all for the moment folks. Keep reading, keep it ‘crude’! © Gaurav Sharma 2012. Photo: Offshore oil rig in North Sea © Cairn Energy Plc. Farewell to India, global spills & crude pricing! After a short trip to India, the Oilholic bids farewell to Delhi via its swanky impressive new terminal at Indira Gandhi International airport which the city's residents can be justifiably proud of. However, the financial performance of its national carrier – Air India – which is bleeding cash and could not possibly survive without government subsidy leaves a lot to be desired. Just as the Oilholic was checking in thankfully, for his British Airways flight home, news emerged that Air India had been denied jet fuel for almost four hours overnight on account of non-payment of bills. Doubly embarrassing was the fact that those holding back fuel for the beleaguered national carrier were NOCs - Indian Oil, Bharat Petroleum and Hindustan Petroleum! Who can blame the trio, for Indian newspapers claimed that Air India owed in excess of INR 40 billion (US$812.8 million) in unpaid fuel bills. So much so that in 2011 Indian NOCs put the airline on a “cash-and-carry” deal, requiring it to pay every time it refuelled its planes, rather than get a 90-day grace period usually given to airlines. Despite a merger with Indian Airlines in 2007, Air India continues to struggle even in a market as busy and vibrant as India where domestic, regional and international carriers are mushrooming (though not all of them successfully; just ask Kingfisher Airlines). Away from Indian airports and airlines to crude matters, the US Eastern District Court of Louisiana issued a partial summary judgment on January 31, 2012 on BP’s indemnity obligations in wake of the Gulf of Mexico oil spill versus Halliburton’s liability. The summary states that BP must indemnify Halliburton for any third party claims related to pollution and contamination that did not arise from Halliburton's own actions. In addition, the indemnity is valid even if Halliburton is found to be grossly negligent, although the indemnity could be voided if Halliburton committed fraud. Ratings agency Moody's says the ruling is “modestly credit positive” for Halliburton and does not affect it its A2 rating with a stable outlook at this time. Meanwhile, in an ongoing offshore spill in Nigeria, agency reports suggest that it may take Chevron around 100 days to drill a relief well at the site of a deadly blowout incident off the country’s soiled coastline last month. A Bloomberg report published in Business Week notes that another environmental catastrophe may be unfolding. Continuing with the depressing subject of spills, Petrobras says that no more traces of oil were found in the sea during overflights carried out on Friday in the Carioca Nordeste spill site, in the Santos Basin. Therefore, in accordance with the procedures laid down in the country’s Emergency Plan, the contingency actions have been demobilised. 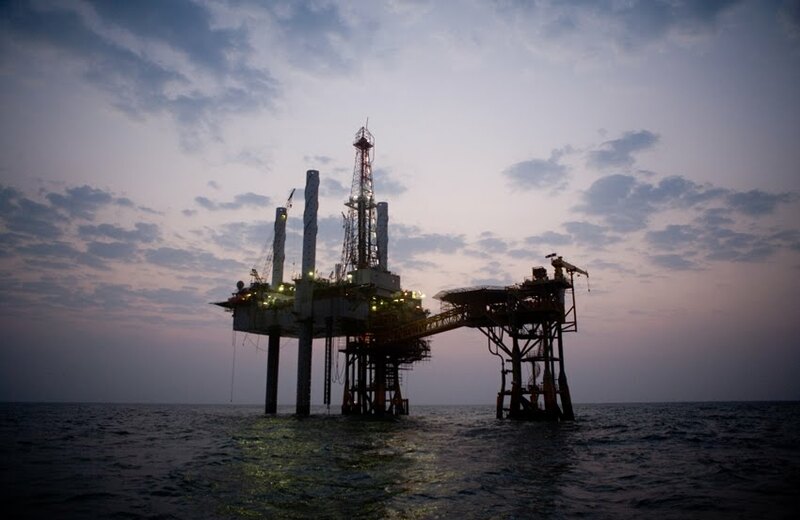 Petrobras says it will now only request approval to resume the Carioca Nordeste Extended Well Test after the investigation concerning the causes of the incident has been completed. The company emphasises that the rupture took place in the pipeline connecting the well to the platform. So no oil leaked at the well, which was closed automatically after the pipeline broke. As such, the incident did not take place in the pre-salt layer, which is nestled at a depth of over 2,000 meters under the seabed. On a crude pricing note before flying home – while in India, the Oilholic notes that none of the main global equity indices have provided market direction as the weekend approaches and the Greek situation weighs heavily on investor sentiment. Amid crudely bearish trends, caution is the byword ahead of US employment data and the continuing Greek tragedy. The fact that both benchmarks - Brent and WTI - are resisting their current levels is down to the rhetoric by and on Iran. Thats all for the moment folks, keep reading, keep it ‘crude’! © Gaurav Sharma 2012. Photo: Indira Gandhi International airport Terminal 3, Delhi, India © Gaurav Sharma 2012.